Of all the Australian capitals, Adelaide is arguably the most laid-back. Sure, there's the month between mid-February and mid-March into which the city crams enough festivals and major events to sustain thrill seekers well into winter. Yet, outside that period, things tend to be kept pretty simple and chilled. The city's layout resembles a giant grid, you can cross the CBD by car at rush hour in the same time it takes to move 100m along Parramatta Road or Punt Road on a weekend, shops don’t open until 11am on a Sunday, it's renowned worldwide for its churches and there's only one tram line available to travel through the city. Luckily for the South Australian craft beer drinker, this one tram line travels past a heap of the city's growing number of good beer (and other booze) venues and, as such, this Crafty Crawl needn’t require much walking. 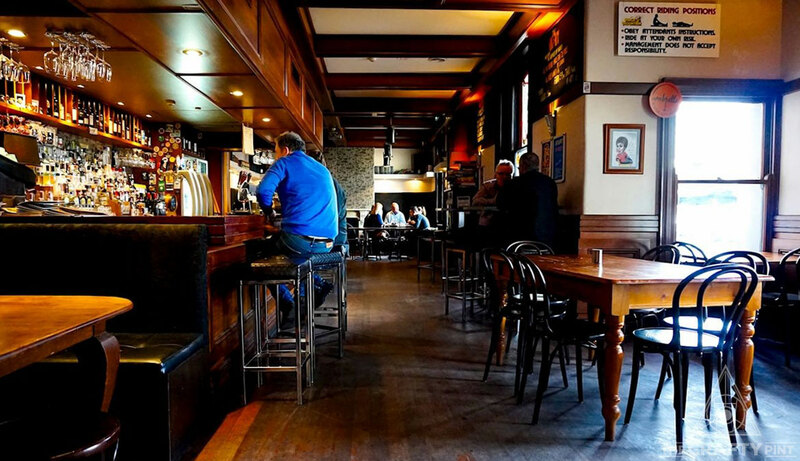 Taken together with our article focusing on the city's craftier small bars, it should keep even the most ardent beer lover sated. The perfect starting place, a temple of craft beer and one of the original SA bars to pour beer from independent brewing companies. 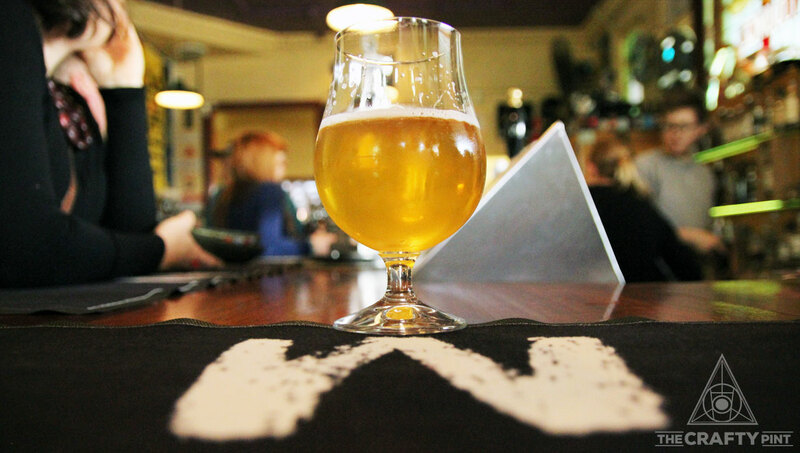 The Wheaty is home to 13 rotating taps, including a glass hopper and hand pump. Five are are dedicated to their own beers, brewed by the Wheaty Brewing Corps and friends out the back, while the other eight are on high rotation. The bottle list is insane, with nearly 200 different labels on offer at any one time. Not a beer drinker? Then The Wheaty's knowledgeable staff will guide you through the wine and dazzling array of whiskies. The beer garden out back is open and spacious, with the added feature of a shipping container pouring beer within eyesight of the actual brewery a mere three metres away. The function centre (or Tin Shed) supports local and touring musicians, with shows on most weekends, and food comes in the form of food trucks stationed out front. 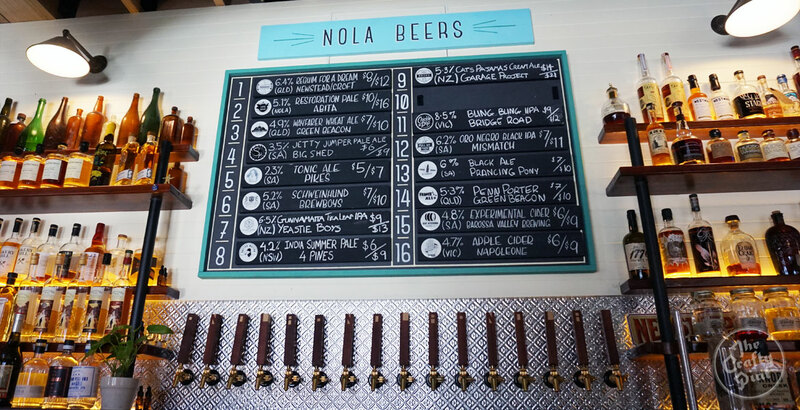 Here, you'll find 16 taps pouring nothing but independently owned beers and ciders, supported by a simple but elegant bottle list. Throw in a shot of fine whisky to create a boilermaker, some soul food and jazz rhythms and you have a recreation of the New Orleans experience. NOLA is a two level venue that opens with a chilled vibe in the morning and early afternoon, before transforming into to a buzzing party house after the sun goes down. Keep on eye on the diary too as the team behind the venue loves to put on events. 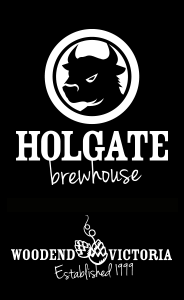 A convenient CBD watering hole, boasting ten dedicated craft taps including a hand pump for pouring nitro beers. Among the draughts beers is one brewed just for the Franklin, with the Brilliant Ale a light coloured, easy drinker, while the remainder tend to rotate through beers from small breweries near and far. The kitchen serves up a mix between share bites, wholesome pub grub and Frank’s famous hot dogs. When the sun is shining, the beer garden is the place to be: it's cozy and has a vintage summer feel, thanks to its pastel coloured furniture, with large umbrellas under which you can settle with mates. Just down the street, the Benjamin on Franklin awaits. 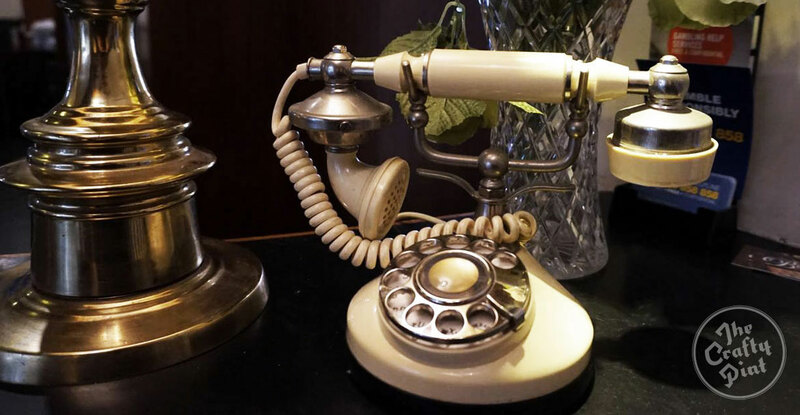 Walking through the door here transports you back in time to the 1920s, with old school wallpaper among are variety of other eclectic memorabilia filling every space at the Benjamin on Franklin. Beer wise, you can pick from seven taps across two bars and an impressive fridge loaded with fresh bottles and tinnies. Holiday flashbacks hit as you enter the beer garden: forest like shrubbery lines the three eating booths. 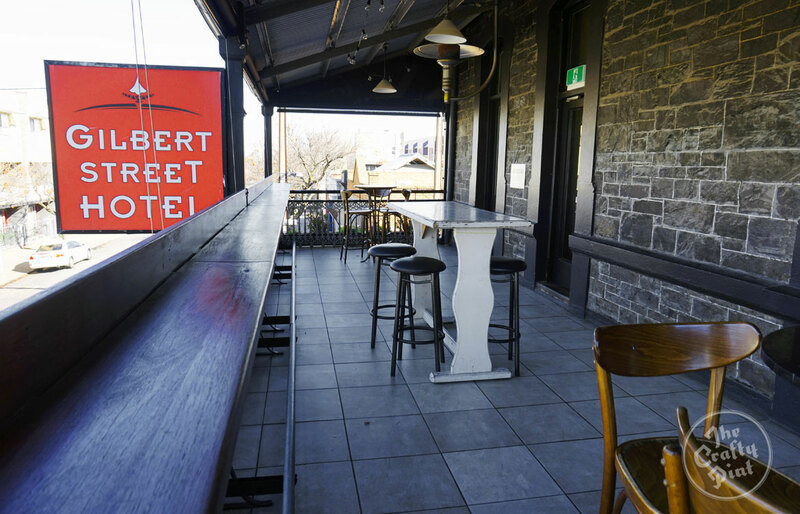 Being a sister venue to the Gilbert Street Hotel, if you call in on a Thursday night you can treat yourself to its famed chicken wings. Now it's time to get back on the tram, getting off at City South to check out two venues in the one place. 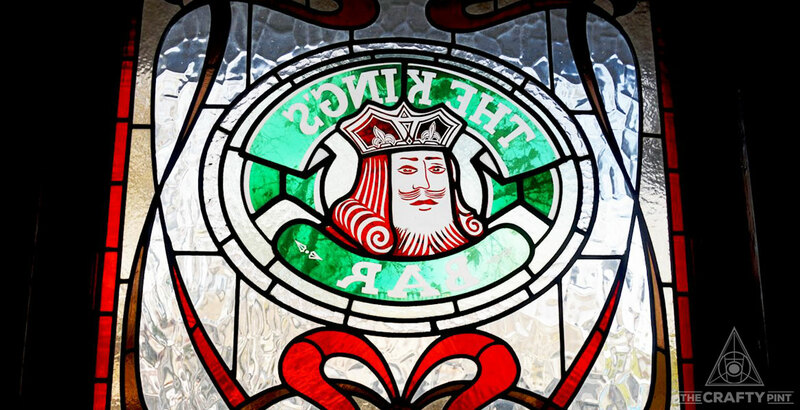 The King’s Head Hotel is dedicated to South Australia, only selling booze and food that has been made in the state. The 12 beer taps inside the hotel are mirrored in the bottleshop. 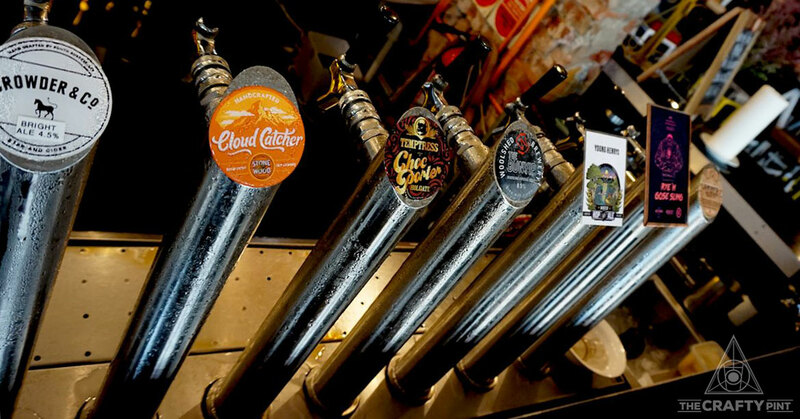 It means that, if you want to take a tap beer home to enjoy, you can as Sturt St Cellars is home to the only CANimal machine in SA (at time of writing). Apart from the choice on tap, drinkers have access to anything in the four-doored fridge of the cellars. Sit out the front of the hotel and watch the world fly by, cozy up by the wood fires in the cooler months or buy a ticket to one of the occasional underground cellar dinners. Friday and Saturday nights see DJs playing music into the small hours while there's a collection of board games to help pass the time too. A very fitting place to end the crawl, with the Gilbert Street Hotel having a reputation for pouring rare and limited release beers not often found in the city. Aside from that, you'll always find Pirate Life on tap (and often the team from the brewery drinking there) alongside other independent breweries' beers across the ten taps. There's a colourful beer garden out back, a food menu that changes with the seasons, wood fires in the winter and beach parties in the summer. The pub is packed to the brim on a Thursday night, as it's the night GSH chicken wings land on diners' plates. You can check out our small bars Crafty Crawl here and all other Crafty Crawls from around Australia here. You can also locate all venues featured here via our interactive Crafty Recommends feature.